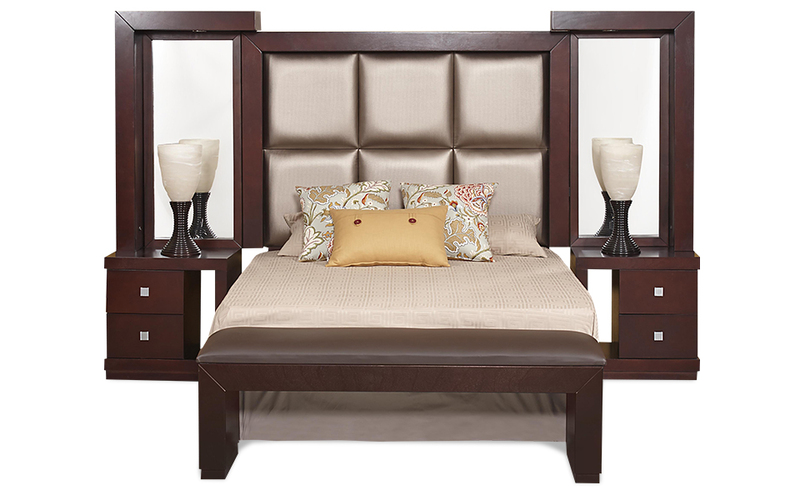 This 3-piece bedroom suite offers casual, comfortable living. The padded head board for your liking with added 2x side mirrored displays and 2 drawer nightstands with extra storage space is excellent value for money. Exludes bed box infront of bed – Mattress and accessories are optional.